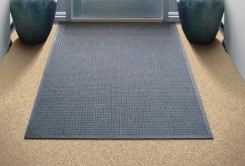 On many industrial and commercial sites, floor matting is necessary indoors and outdoors, and especially in high traffic areas. 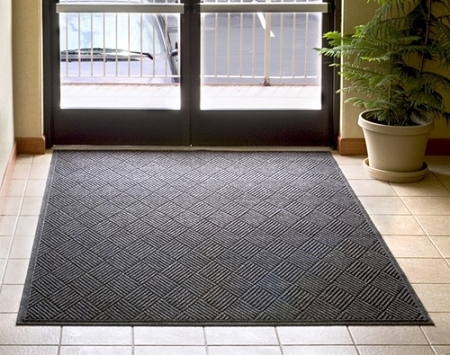 Sometimes, you need to get a message to all those people, and Andersen WaterHog Sign Mats can deliver it. 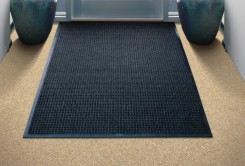 Made of polypropylene fibers and rubber, Water Hog message mats won’t fade or rot, and are supported by nubs that maintain high performance for many years to come. 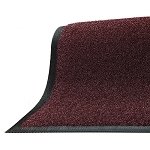 Used to keep moisture and dirt trapped, this Andersen floor padding is unique and decreases slip hazards and damage. 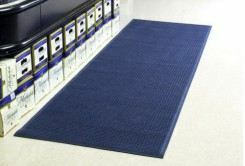 The sign mats are anti-static and easy to clean; all you need is a vacuum. 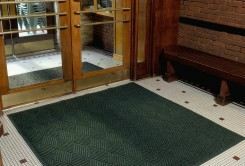 The message is placed in the lower right corner of the mat, and can be positioned in a horizontal or vertical direction. Plus, Andersen Waterhogs come in two styles, classic or fashion, and can be ordered for applications up to 60ft long. 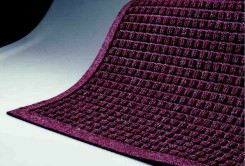 Design Square "waffle" Square "waffle"
*These mats should not be used in areas exposed to animal fats or petroleum products.